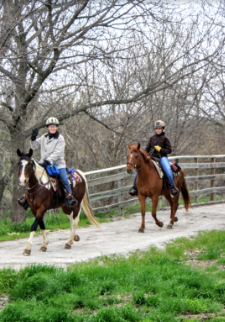 After a long cold winter and even before the horses have started to shed their winter coats, Nebraska equestrians are champing at the bit to get out and ride. The following are tips to get you ready for spring riding. Please remember, do not ride on wet or muddy trails. Be a good trail advocate and when the trails are wet, save it for another day. 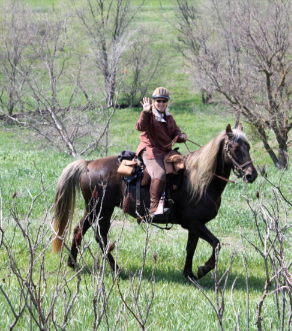 When the wildflowers start blooming and the temperatures start to rise, trail riding is a common adventure for both equestrians and those looking for a fun afternoon activity. In order to have a fun yet adventurous trail ride, safety is the premier focus in preparing for the ride. The first and most important step before taking your horse out of the stall or pasture is to check the weather for safety. If a chance of thunderstorms is in sight, reschedule your trail ride for another day. Trails can be beginner, intermediate, and advanced. Your horse’s level of knowledge and your riding experience play a big role in mapping out your trail. For example, if you have an inexperienced horse, it is better to take a trail with a wider path and fewer ditches or less debris for the first few times. Never leave the barn without a brushing your horse and picking out hooves. 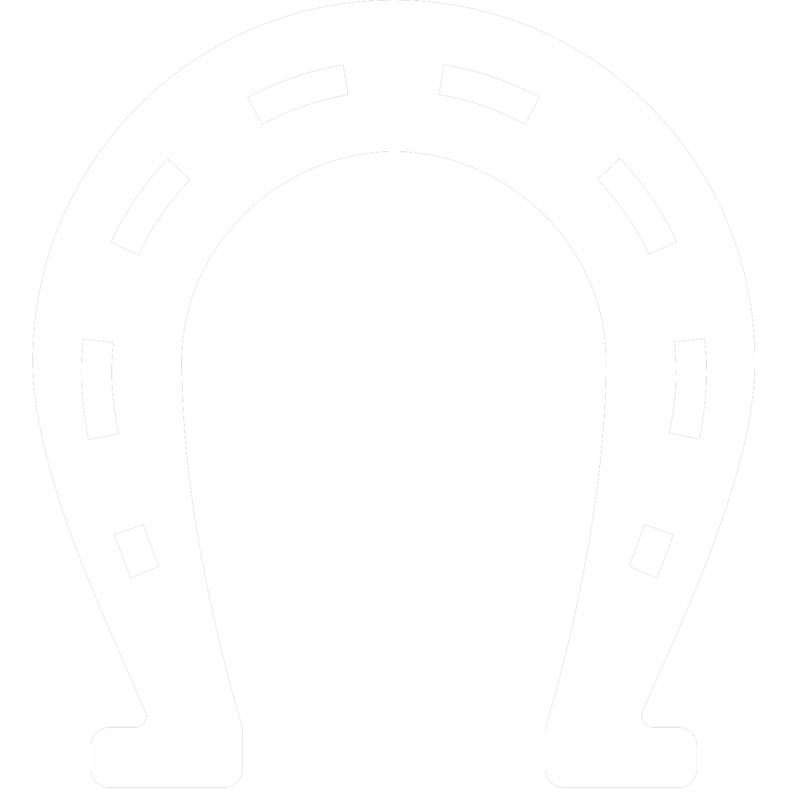 Whether you are trail riding or just schooling in the arena, the best way to prepare before riding is to double check your horse from the hooves to his ears and tail. In preventing injuries to you or your horse, you should check his body for any cuts, scrapes or inflammation before you put him on the trailer. Hay bags, proper tack, grooming equipment, a pitchfork, broom, first-aid kit, extra towels, treats, and leg wraps are just a few essential items to pack in your trailer. Also be sure to bring a spare halter and lead. You never know when one might break. You don’t enjoy bugs, and neither does your horse. Fly spray your horse and spray yourself with mosquito spray, too. Mosquitos can be your and your horse’s worst nightmare in the middle of a trail, and swatting mosquitoes or deer flies while you are trying to enjoy Mother Nature’s scenery is not enjoyable. Trail riding is a great activity that will easily allow you to lose track of time. Spending an hour outside can leave you with sunburn, so lather with at least SPF15 before you leave on your trail ride. Double check all tack and equipment before mounting your horse. Tighten the girth, put polo wraps or protective boots on the horse, and be sure all of your keepers are tucked in to prevent unbuckling. Diane Beckham, NHTC Board Member, riding Jordan on the Oak Creek Trail. Helmets may not be required, but they are highly recommended. Wearing proper footwear such as cowboy boots or paddock boots is essential. If you are trail riding at sunset, a light jacket may be worn in case temperatures are expected to drop. Trail riding alone is dangerous. Horses are herd animals, which makes them naturally love traveling in groups. Having a buddy system is critical in emergency situations, but also helps keep the peace of mind of both horse and rider. April showers may bring May flowers, but this also can question the footing. Beware that harsh winters bring a plethora of snowmelt, which can lead to muddy conditions in the woods or mountains. In the south, rain is common, which can lead to flooding in certain areas that may not be visible to the eye until you ride closer. Be aware of your surroundings, and if the footing looks too deep or too muddy, steer clear. Also, branches may have fallen, creating unclear pathways. The general rule of thumb is: if you wouldn’t step in it yourself, your horse definitely won’t want to either. Even if you are riding the “made” horse in the group, nature is unpredictable and you never know what animal may jump out of a bush and spook the horse. Always stay alert and keep your reins in a position that you easily gain control when needed. As much fun as it is going along for the ride, helping your horse will be better for both of you in the long run. Lean forward when traveling uphill and keep your weight over the center of the saddle when traveling downhill. This alleviates the pressure on the horse and balances him in climbing circumstances. Be sure to reward your horse after a job well done out in the countryside. You may not feel like it was much work on your end, but your horse will appreciate the extra apple or carrot you brought him after a long day on the trails. Always keep a cell phone on in case of emergency. Mark your trails by using GPS. Be sure to carry your cell physically on yourself. In the event that you are separated from your horse, there is nothing worse than watching your cell phone gallop away in a saddle bag. After a long ride, you and your horse may be sweaty and tired. If lots of time was spent trotting, be sure to walk out and cool down at the end of the ride.